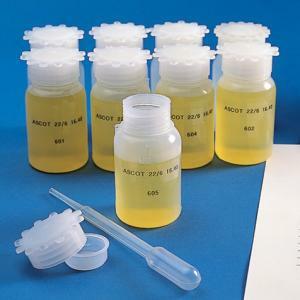 Next Day Science offers a complete line of wide-mouth square and round plastic bottles commonly used for food packaging, laboratory sampling, transport and storage, and general purpose use. 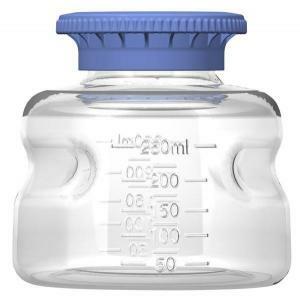 The wide-mouth bottles are made for easy emptying and filling of powder and liquid samples, and can withstand significant pressure, making them perfect for transport. They are used in a variety of industries including pharmaceutical, medical, food, oil, cosmetic, water testing, and soil sampling. Why choose plastic laboratory bottles over glassware? For practicality and for economy, plastic bottles should tramp glass bottles anytime. Plastics are lightweight and aren't fragile like glass. So, their delivery costs will certainly be lower. This is an important factor for drug manufacturers. In laboratories, plastic bottles, because of their weight, become shock-absorbent. Furthermore, leaks and breakages can become costlier if you use glass bottles. Because of their weight, plastic bottles are easier to move around. They can also be strong and shatterproof. Plastics can maintain their form after subjected to stresses. Also, they're able to absorb shock when dropped. This benefits the scientists working in the laboratory because it is safe. This also reduces the chance of losing their valuable samples. 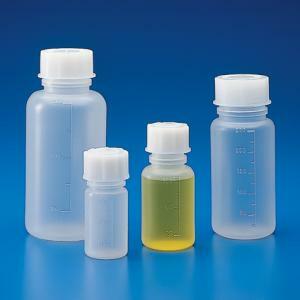 What are the types of plastic laboratory bottles? 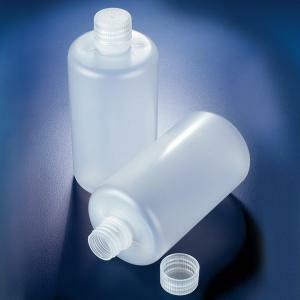 There are different types to choose from when it comes to plastic laboratory bottles. 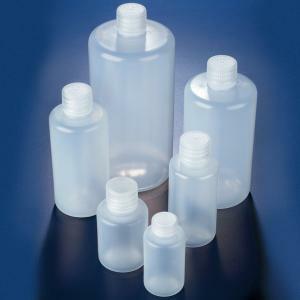 There are wash bottles, dropper bottles, and bottles made from varying materials. 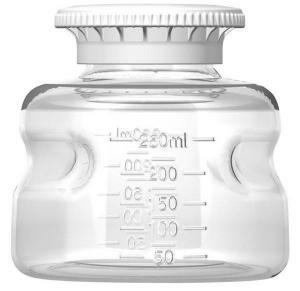 You can also choose rectangle, round, or square-shapes bottles. Finally, you also have the choice of narrow or wide-mouthed bottles. What are plastic laboratory bottles made of? The variety of plastic bottles is usually based on their resin composition. There are different qualities and grades of resin. They each have their own properties. Your selection of plastics must contain resin whose properties would suit your requirements. Choose those plastics which would minimize additives as well as reduce probable leachables. This will ensure that the container will have no effect on the reagents or samples it will contain. 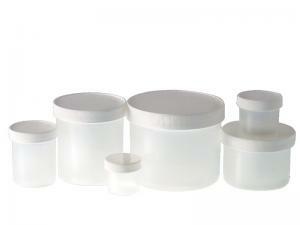 When procuring your plastic containers, request for resin information. This can help you work together with regulatory standards. What's the most inert and stable plastic laboratory bottle? 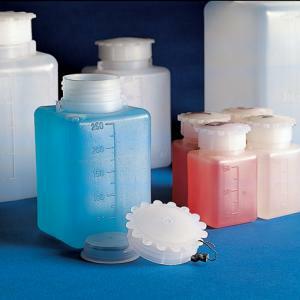 You should find out the stability of your plastic containers. This is especially important when working in an environmental place. Trace contamination of the containers may become an issue. Use bottles made with PTFE, also known as Teflon, as such could last longer. Nothing can deposit on Teflon surfaces, and nothing can dissolve or break them down. They're almost impossible to crack or shatter. What are some considerations when choosing plastic laboratory bottles? The resin used in your plastic bottles should suit the type of work you'll use them for. 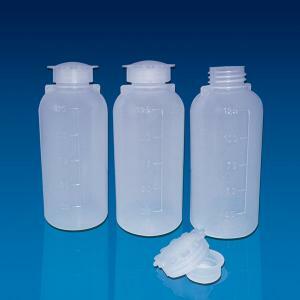 If you need the plastic bottles for medical devices, be sure to check them. They must comply with ISO 13485 requirements in their manufacture. 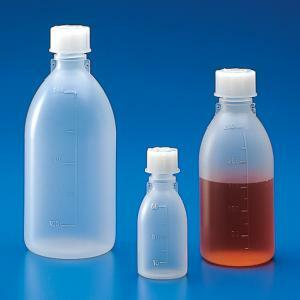 Note that only plastic bottles made from polypropylene are useful for autoclave purposes. The seal of plastic bottles is as important. Some plastic bottles have seals that are airtight, while others just need the top covered.